LoftBedRentals.com is proud to offer a FULL SERVICE Refrigerator Lease program at your school or university! 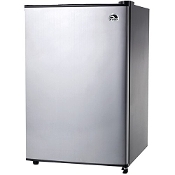 We deliver and install all leased refrigerator/freezer units directly to your dorm room. Our refrigerators provide 3.2 cubic feet of cooling and freezing for all of your needs.